The big event for UFC 236 is none other than the Main Card bout between Max Holloway and Dustin Poirier. The Interim Lightweight Title is up for grabs in this all-or-nothing event and these fighters will stop at nothing to win it all. Initially, there are no outstanding differences between these two terrific fighters. Both have had successful careers and a good overall record. It should be anybody’s game. But it should be said that Holloway is currently coming from a whopping 13-win streak. His last loss came at the hands of the legendary Connor McGregor, and that was way back in 2013. Since then he has been unstoppable. Holloway is also riding his own 5-match streak without a loss. And has beaten fighters such as Pettis, Medeiros, and Alvarez. Both are great strikers and we can expect a lightning-fast match between the two. But the betting world has already made their stakes known. Poirier stands at around +170 and Holloway at a -200. Many claim that by the end of the bout, Holloway will have his fists raised in the octagon as the champion. Which way will you throw your support? The match is still hard to determine and anything goes. Can’t wait to find out? Tune in to FOX+ and stream the main event this April 13 only on FOX+! 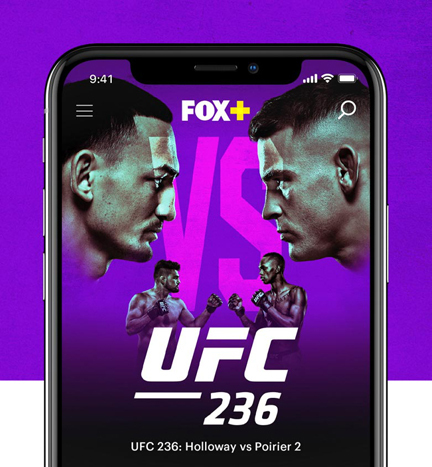 Download FOX+ from Google Play Store or the App Store. New subscribers get a 30-day free trial. For more information, visit foxplus.com.